Published on the occasion of the solo exhibition The Space between Life and Me presented at BAM in Mons from February to April 2019. Texts by Carolina Fernandez and Mélanie Rainville. 115 pages, color images, soft cover. An edition of 250 copies. Published on the occasion of the exhibition Saki Chan presented from January to March 2019. 36 pages, 16 black and white images, soft cover. This is the second part of an ongoing publication documenting the work of the artist. The book presents 19 oil paintings of Thomas Mazzarella of the period 2017-2018. It has been conceived as an addendum to the monography published in 2017 on the occasion of the first museum retrospective of the artist. 19 color reproductions, 46 pages, 26 x 19 cm. An edition of 100 copies. Published on the occasion of the solo exhibition Emmanuel Tête, Jardingue at Rossicontemporary in November 2017, this book was entirely designed by the artist. 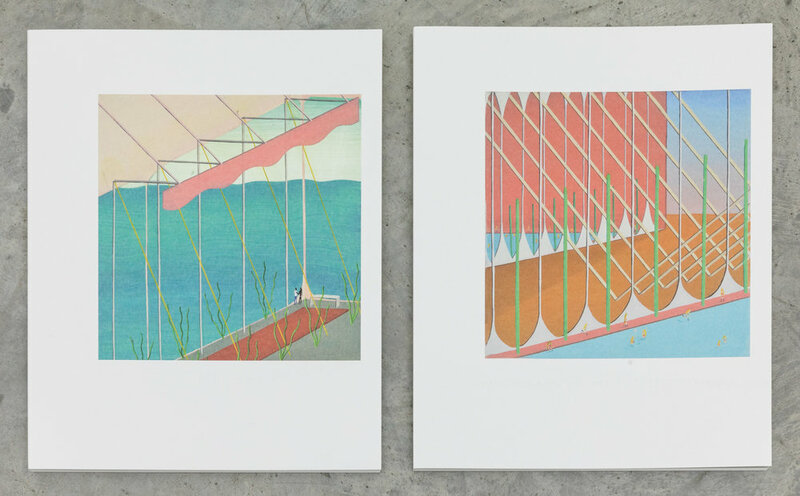 23 pages, 12 drawings, an edition of 30 copies, each of them signed by the artist. 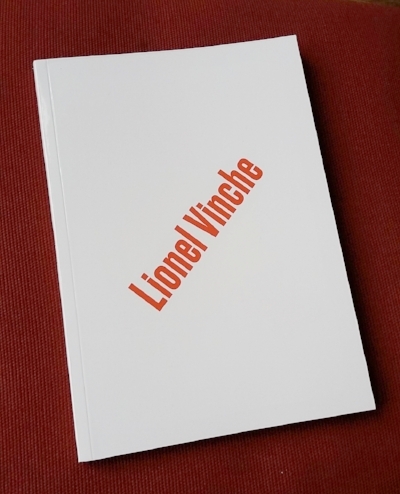 This book tries to reproduce the spirit of the Xerox books Lionel Vinche made in the early Seventies. It contains a survey of his early (satirical) drawings. An edition of 100 copies. This book, published on the occasion of the homonymous exhibition of the artist at Rossicontemporary in September-October 2017, gathers 17 charcoal drawings and 17 short texts by the artist. The lay-out of the publication exactly reproduces the one of a book of Luc Tuymans published in 1994. Claire Oberst, a former intern at Rossicontemporary, gives us by images and texts the outcome of her peregrination through the studios of Rossicontemporary’s artists. English text by Claire Oberst. 52 pages, colour pictures, soft cover. 17,8 x 22,8 cm. 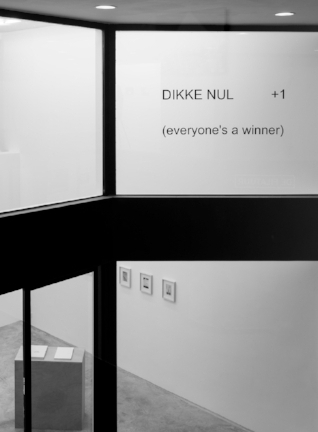 This book was published on the occasion of the solo exhibition Eva Vermeiren. Dito at Rossicontemporary in January 2017. 44 pages, 42 full page color plates. 17,5 x 28 cm. Layout by Ruud Ruttens. Published by the artist in an edition of 50 numbered copies. A do it yourself sticker in an unlimited edition. The envelop, stamped and signed by the artist, contains two sheets, one with the text, the other one with the instructions: “Choose typeface/ choose color / choose size”. Thus, each sticker is unique and personal. A book containing the reproductions of the 12 paintings from Marie Rosen’s Qualia series. It was published on the occasion of the homonym solo exhibition by the artist at Rossicontemporary in May 2016. 32 pages, 12 color plates, 24 x 16,5 cm. An edition of 30 signed and numbered copies. A book containing the new series of Thomas Mazzarella’ oil paintings that were exhibited in April 2016 at Art Brussels. 48 pages, 16 full page color reproductions. 24 x 16.5 cm. French text by Clément Borre. English translation. Graphic design by Manu Blondiau. Published in an edition of 100 signed and numbered copies. 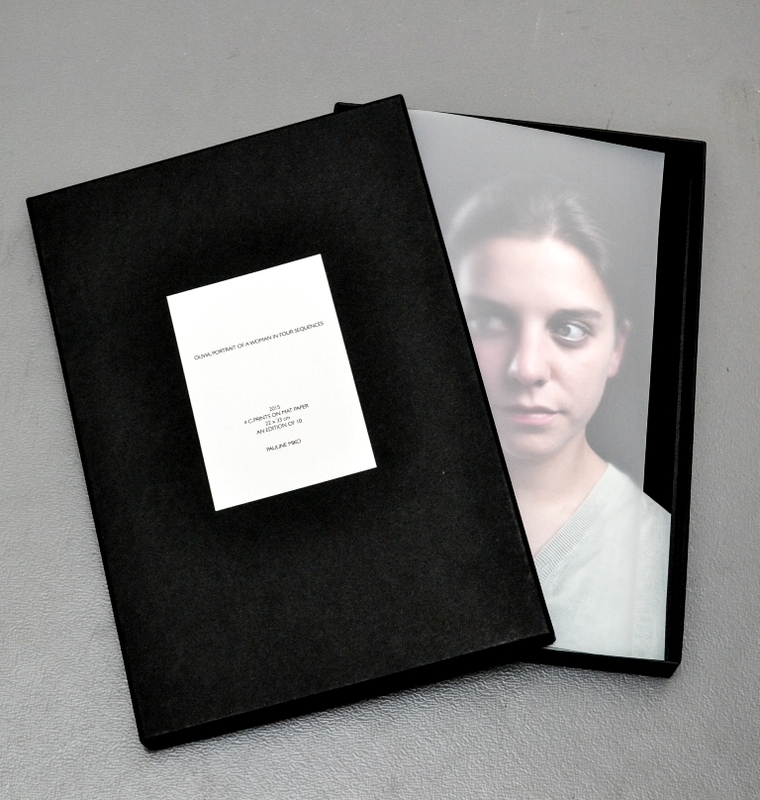 An artist book containing 9 t-shirt drawings and a C-print by Manon Bara. Cover hand colored by the artist. 16 pages, 34,5 x 24,5 cm. Published by Rossicontemporary in an edition of 100 copies. A portfolio published on the occasion of the homonym exhibition held at Rossicontemporary from 19.3 to 16.5 2015. Four C-prints in a cardboard box, 35 x 24 x 3 cm. An edition of 10 copies numbered and signed by the artist. Edition of 50 copies, stamped, numbered and signed by the artist. 1. S'adapter ou disparaitre ? French text by Olivier Drouot with English translation. 24 pages, colour pictures, soft cover, 15.3 x 19.7 cm. This is an edition of 30 copies numbered and stamped by the artist, each one inserted into a clear plastic sleeve. Digital print, 50 x 30 cm. Offset print on paper, 84 x 59 cm. Risograph print, 20 x 40 cm. Published in October 2018 on the occasion of the exhibition Rites de Paysage presented from November 2018 to January 2019. An edition of 50 copies signed and numbered by the artist. 40 pages, 26 color images, soft cover. Published on the occasion of the homonymous exhibition As Far As My Eyes Can See presented from September to October 2018. 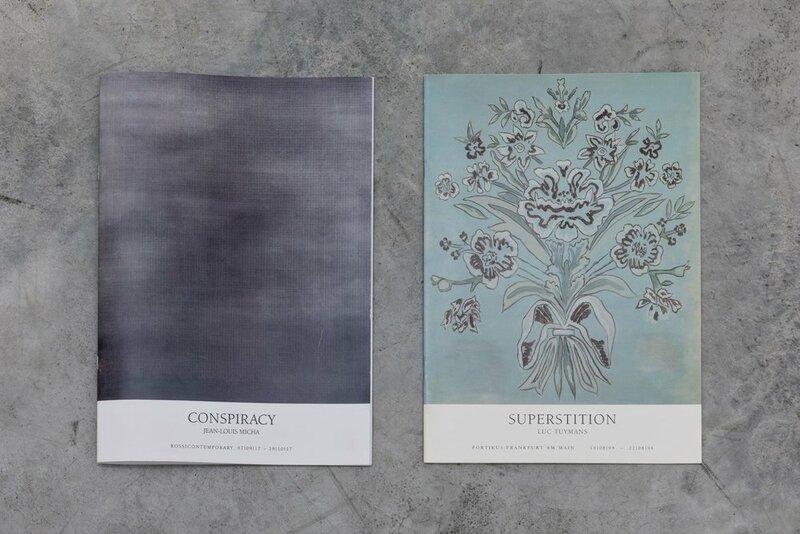 An edition of 50 copies signed and numbered by the artist, printed in September 2018. 24 pages, 12 color images, soft cover. Published in May 2018, on the occasion of the solo exhibition of Alain Bornain at Rossicontemporary, this book presents 24 oil paintings of the artist. 40 pages, 26 x 21 cm. An edition of 50 copies signed and numbered by the artist. This book of 40 pages includes 20 of Evelyn Vanoverbeke drawings and accompanies the exhibition at Rossicontemporary in November 2017. 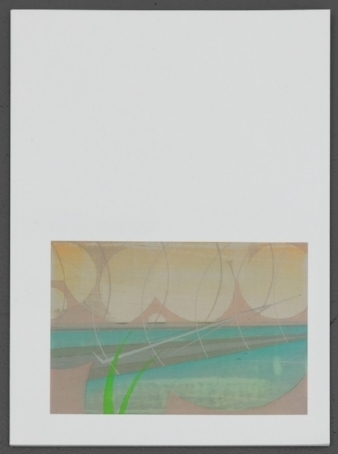 An edition of 50 copies, signed by the artist. The first monograph on the artist, Thomas Mazzarella, Paintings 2007-2017, recounts 10 years of painting by the young Belgian painter. 112 pages, 68 color reproductions, 29,5 x 24 cm. Texts in French and English by Pierre Olivier-Rollin, director of BPS 22, artist Clément Borre, and Dorothée Duvivier, co-curator of the exhibition. A publication of 500 copies. An artist book of Belgian artist Jo De Smedt presenting his homonymous series of 18 collage and drawing works. Designed by neutre.be. An edition of 100 signed and numbered copies. Entirely conceived by Belgian photographer Lore Stessel, this book offers a survey of her photographic work on canvas of the past 3 years and contains 27 full or double page reproductions. 62 pages. With an essay in Dutch by Indra Devriendt. French translation. An edition of 50 signed copies. This publication accompanies the eponymous solo debut of Bert Huyghe at Rossicontemporary in January 2017. 48 pages, 41 full pages color reproductions. Photographs and graphic design by Olivier Smets. 21 Б~ 29,7 cm. An edition of 100 copies numbered and signed by the artist. A book hand typed in Bold on 120 g/m² office paper with a Samsung SQ-100 electronic typewriter, conceived for left-handers. It contains 110 short texts by the artist. 224 pages, A4 size, linnen binding, no cover, in a white cardboard box stamped by the artist. Standard edition: 30 copies signed by the artist and numbered from 1 to 30. Deluxe edition: 10 copies signed by the artist and numbered I –X and containing the etching “ individu EN MASSE”. 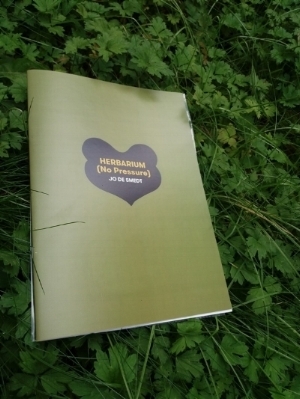 This artist book was published on the occasion of the solo exhibition Ritsart Gobyn. Interlude at Rossicontemporary in September 2016. 32 pages, 24 full page color reproductions. 22,5 x 17 cm. Published in an edition of 30 signed and numbered copies. Each copy contains a unique collage by the artist. A book containing the new series of Eric Croes’ ceramic works that were exhibited in April 2016 at Art Brussels. 52 pages, 28 full page color reproductions. 29,7 x 21 cm. Graphic design by Simon Demeuter. Published in an edition of 100 signed and numbered copies. A book containing a selection of Eric Croes’ ceramic works that were exhibited in spring 2015 on the occasion of his solo exhibition at Rossicontemporary. 64 pages, 28 full page color reproductions. 21 x 14.8 cm. Each copy contains an original bookmark, printed on laid paper 220 grs., hand colored , signed and numbered by the artist. Published by Rossicontemporary in an edition of 100 numbered copies. Digital print on DurexMat paper, A5 size, 20 pages, hard cover with a unique collage for each copy. An edition of 50, bound, stamped, numbered and signed by the artist. "Simon Laureyns. Cover up the Grey"
at Rossicontemporary 11.09.2014 - 25.10.2014. It contains the text "What is a Construction Painter". Gold spray on paper, with metal eyelet, A5 size. Edition of 50 copies, 3 pages, not numbered. Risograph print cover, 18 black and white images, 20 pages. An artist book and an edition published on the occasion of the exhibition "Les fantômes de Camina Ando", at Rossicontemporary, summer 2011. The book: 77 pages, b/w and color pictures on two different kinds of paper, ring binding, cardboard cover, 23 x 19 cms. The edition : print on aluminium, 21 x 17 cms, signed, dated and numbered by the artist. 15 copies. An edition published on the occasion of the artist performance held during the opening of the exhibition "Factures décoratives 1983 - 2008" at Rossicontemporary on 17 September 2011. * one of the 12 pictures in the Cd-rom being a high resolution file, it can be printed by the buyer as a unique work.